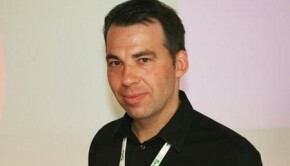 Borislav Slavov made his name working on games like Knights of Honor, Worldshift, and the Crysis series. 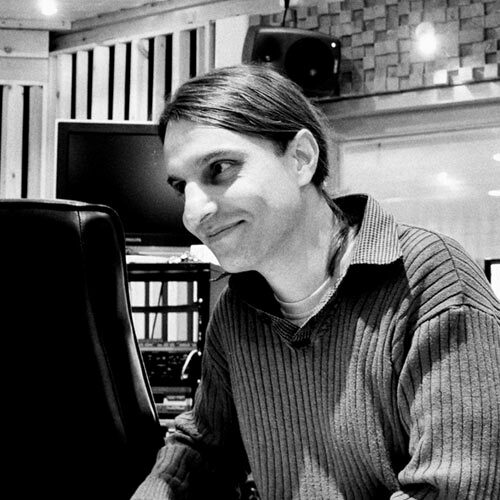 We’ve spoken with him previously on VGMO to discuss his role as Crytek’s in-house composer and his work with Tilman Sillescu on the soundtrack to Crysis 2. Most recently, Slavov composed the much-anticipated soundtrack to Divinity Original Sin 2. 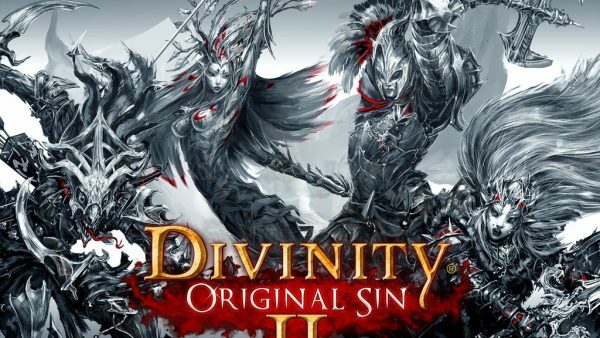 In this email interview, we spoke with Borislav Slavov about his work on the sequel to Divinity Original Sin, including his approach to the daunting task of following up Kirill Pokrovsky’s memorable soundtrack for the original game. Slavov also describes his approach to creating the various character themes of the game and some of his goals for the overall sound. VGMO: Thanks for speaking with us! Last time we interviewed you, it was just after you had completed Crysis 2. It’s been several years! Can you tell us a little bit about what you’ve been working on leading up to Divinity Original Sin 2, including your work on Crysis 3? Borislav Slavov: Hello! Oh god, you’re right! The time flies so fast and I am happy to talk with you guys again! It’s great to see that VGMO continues to be a pillar of promoting the video game music and composers. Thank you for this interview invitation! With Crysis 2 I had started working on a number of adrenaline pumping action titles, which immensely helped me to develop myself in the contemporary music styles, as well as to dive deeper into adaptive orchestral music techniques, which change the music, according to the intensity of the action on the screen. Crysis 3 was next in line and to me it was one of the most satisfying works in my career. And I think the game did not get all the attention it deserved at that time, even though for me the title was as good as Crysis 2. Ryse: Son Of Rome gave me an excellent chance to relive the emotions I experienced while I was watching favourite movies like Gladiator, Spartacus and the Rome series. The Roman empire is a part of the human history, which I am truly fascinated by and working on the game was like scoring a movie, set in those times. I remember that all cut scenes put together were equal to a full time length feature. VGMO: Moving onto your most recent release – what brought you on board with Larian Studios and Divinity Original Sin 2? Given that you took the reigns of the series’ music due to the unfortunate passing of Kirill Pokrovsky, what pressures did you face when crafting the score that both retained the musical heritage of the series, but at the same time, offered your own perspective to the music as well? Borislav Slavov: After scoring several action titles in a row, one day I realised that I needed to refresh my mind, if I don’t want to start repeating myself in every new score, which would eventually lead to wearing my creativity off. I needed to reboot and reinvent myself. I had been playing and loving the Divinity series since its start in 2002. 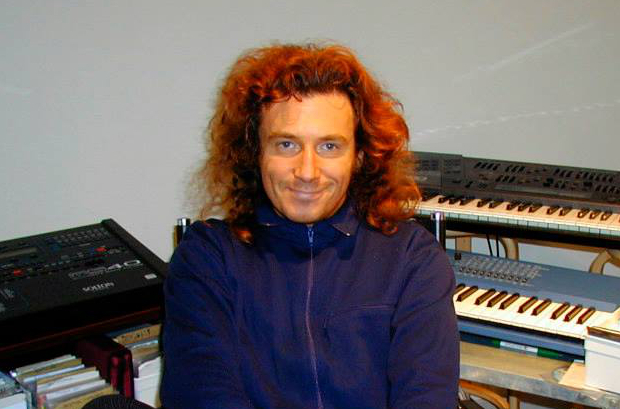 The reason I had never gotten in touch with the guys from Larian before was simple – I love the music of my fellow composer Kirill Pokrovsky. He made the music such a special part of the Divinity universe . I was shocked and sad to hear the news of him passing away. It took months before I decided to get in touch with Larian and offer them my heart. Then, I had to ask my self the real though question: How should I approach the music in DOS2? From one hand I had to continue the legacy and from the other I had to make a next step forward in the future of the series. I thought about it for a while and I told to myself – It would be stupid if I try to mimic Kirill’s music. Kirill was unique and people would be rather disappointed than satisfied with an imitation. So instead, I decided to come up with my own approach, inspired by my love for the music in the Divinity series. I was a huge fan after all. I did my best to remain faithful to some core features of the music in the universe and make it as varied as possible, as well as thematic, playful and quirky. And on the top of it – an emotional and dramatic orchestral part, to give a frame of the soundtrack. 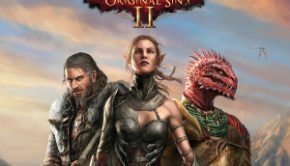 VGMO: In Divinity Original Sin 2, there are origin stories that feature pre-determined characters of varying backgrounds. How did each of their back stories influence how you approached their respective themes and what elements of each character did you want to capture in their themes? In particular, “The Queen’s High Seas (Beast’s Theme)” seems to be at least partially inspired by the “Dance of the Sailors” from Gliere’s The Red Poppy – can you tell us about composing this track? Borislav Slavov: Every origin character was unique, which lead me to an idea – How about instead of having only one main theme for the entire game, we have 7? One for each of the six Origin characters plus one that comprises the entire game. All characters were so different from one another, that I was over the moon of joy – it was а perfect reason to give each one of them a completely different (from one another) musical ID, inspired by their personal features. Ifan ( an ex crusader, who lost his faith in the order he served, now a mercenary killer), got a theme called “Mead, Gold & Blood”. As the name suggests, it features it all – starting like a tavern song from a place he used to have good time and then developing into an orchestral anthem, to reflect his past and…current mission. Sebille, an ex-slave, on a revenge mission to find and kill the Master, got a theme that basically tells her story through ethnic and dramatic orchestral passages. The Red Prince (an exiled prince of the fabled Forbidden City, determined to claim his rightful throne) got a theme, which is a fusion of an eastern ethnic-flavoured instrumentation with a big royal orchestral part, a mirror image of his regal background and current ambitions. I put a pinch of melancholy for his lost home on the top of it and his music ID felt complete. Fane on the other side was a different one. He is an Undead, but not an ordinary one. He is an Eternal, a very very old Undead from a long gone Era, who is on a quest to understand the current time and find his people. I had quite a lot of fun composing his theme, as I wanted it to be eclectic not only in therms of instrumentation, but also in terms of mood – I wanted it to sound dark, sombre, wise, ancient and… a little bit of funny and quirky to reflect his witty character. Everyone, including me loved that piece so much, that I decided to make the Beast Theme in the same spirit. The Beast is a dwarf and a ship commander, what else did I need? 🙂 A fun fact is that once the piece was ready, I had to make few more variations of it, including a purely heroic one, as the Beast is actually a serious character with a mission to stop the Queen’s sinister plan. VGMO: You’ve talked about your extensive background and interest in folk music from all over the world – how was come into play with your soundtrack to Divinity Original Sin 2? Tracks like “Rivellon”, “Amber Ale”, and “Welcome to Fort Joy” in particular seem to incorporate your love of stringed instruments. Borislav Slavov: Yes, you are right! With DOS2 I also got a chance to go back to my roots and my old love for ethnic woodwind and stringed instruments. This time around I also tried to mix the ethnic instruments with some quirky sounds. “Welcome to Fort Joy” is a good example. At its core its a bardic piece of music, which I coloured with dark and weird elements , meant to set the tone and immerse the player into the beautiful, yet dangerous atmosphere of Fort Joy. VGMO: One major recurring theme in the soundtrack is “Sins and Gods”, which has several different versions throughout the score. How did you come up with the melody, and what did you want to convey with the different versions? 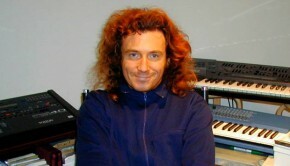 Borislav Slavov: This tune is the main theme of the game. And I was really lucky that I composed it quite early in the development process. VGMO: What else would you like to share about your work on Divinity Original Sin 2? I truly hope they will enjoy the Divinity Original Sin 2 as much as I did during its development! Posted on December 13, 2017 by Emily McMillan. Last modified on December 19, 2017.